- An atmosphere of elegant adults drifts For fabrics with a sense of warmness that seems to be autumn-winter, we adopt a wool melton fabric with gentle brushed surface. ・ By laminating windproof film on the back of wool melton fabric, it will shut out cold wind from the outside and enhance heat retention. 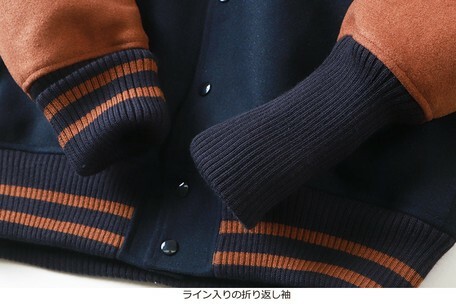 ・ The lining of a crisp texture has a lustrous wine red color thin cotton diamond quilted, it is excellent in wearing comfort and cold weather with smooth sleeve threading. - The neckline, sleeves, around the hem are realized by comfortable fitting realized by switching with ribs with a thick sporty line firmly, and with regard to ribs of the cuffs it is also possible to adjust the length by return specification. 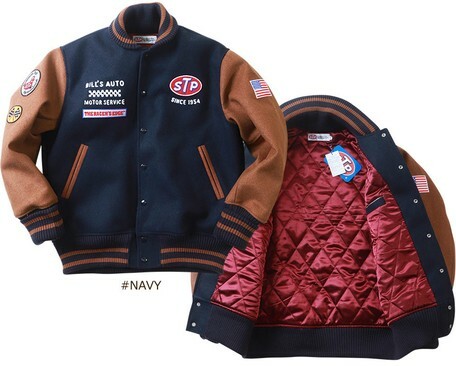 - Front buttons use snap buttons for easy opening and closing so that they are easy to install and disassemble, and side pockets are placed in both silhouette edge pockets that were considered refreshing. 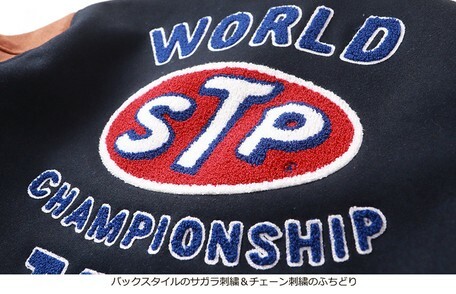 ・ The back embroidery which is also the biggest feature is the "STP (STP)" logo designed with "Sagara embroidery" filled with pile-like voluminous feeling, and chain embroidery for further character edging It is a luxurious finish like anything to be done. 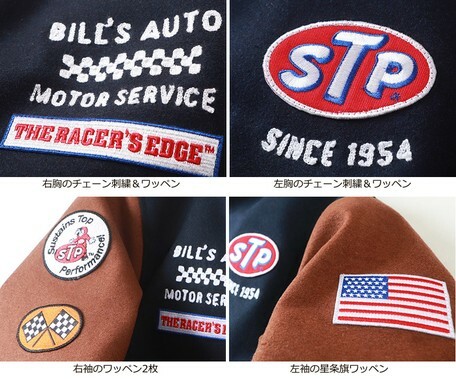 - Besides the back, treat both embroidered patches and chain embroidery everywhere on both sleeves and chest, such as to treat every corner of America's favorite impact, luxurious design preeminent impact. 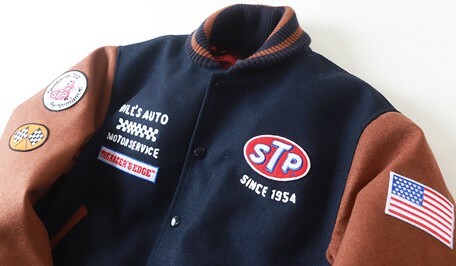 ・ The size is M, L, XL 3 size expansion, color is only one color of navy. Please sign up to see the wholesale prices. *Some delivery methods may not be available depending on the product or the weight. *UPS and the UPS logo are trademarks that are used with permission by the owner, United Parcel Service of America, Inc. All rights reserved. Some trading conditions may be applicable only in Japan.